MASSACHUSETTS VOTERS have made some reckless choices over the years (two words: Barney Frank), but on the subject of income taxes their judgment has been consistently prudent and restrained. In 2000, for example, the voters approved a ballot initiative reducing the income tax rate from 5.75 percent to 5 percent; but in 2002 and 2008 they defeated measures that would have wiped out the income tax altogether. In 1998, voters overwhelmingly said Yes to taxing dividends and interest at the same rate as ordinary income. During a recession in 1990, on the other hand, they firmly said No to a sharp rollback in state taxes and fees. Above all, the electorate has been as steady as a rock in protecting the state's flat-rate income tax from class warriors eager to scrap it. Article 44 of the Massachusetts Constitution commands that income may be taxed only "at a uniform rate throughout the commonwealth." Five times — in 1962, 1968, 1972, 1976, and 1994 — voters have been asked to do away with that provision and authorize a scheme of graduated, soak-the-rich tax rates. Five times they have refused to do so. But the class warriors can't take a hint. Last week the Legislature voted to send the question to the Massachusetts ballot once again. On a near-party-line vote, lawmakers endorsed a proposal that would sock anyone earning more than $1 million with an 80 percent income-tax surcharge beginning in 2019. In place of the state's flat 5.1 percent tax rate, the so-called millionaires tax would punish the wealthy with a rate 4 percentage points higher on income over $1 million. But only if the taxpayers fall for it. 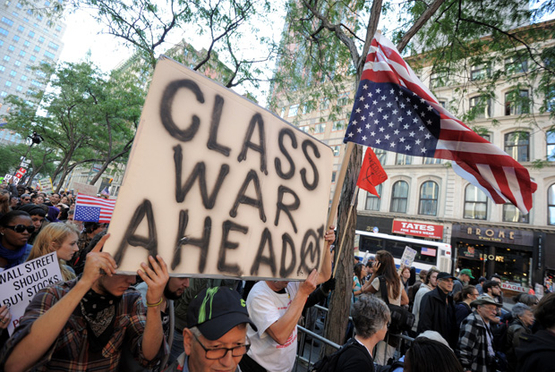 Those clamoring for punitive taxes on the wealthy have dubbed their proposal the "Fair Share Amendment." It's the usual Newspeak. People with seven-figure incomes aren't compelled to pay an 80 percent surcharge when they grab coffee at Dunkin' Donuts or sign up for Netflix or buy a ticket on Amtrak. Anyone who insisted they be forced to do so as a matter of "fairness" would rightly be thought ridiculous. Higher tax rates on higher incomes are a punishment for success, risk-taking, and hard work. Fair is the last thing they are. According to the Department of Revenue, about 19,600 Massachusetts residents — 0.5 percent of tax filers — would be affected by the proposed surtax. Liberal activists get woozy at the thought of spending the nearly $2 billion the tax is projected to raise. "The new revenue generated by this tax," rhapsodizes Raise Up Massachusetts, the left-wing coalition sponsoring the ballot measure, "could only be spent on quality public education, affordable public colleges and universities, and for repair and maintenance of roads, bridges, and public transportation." Actually, ballot initiatives may not be used "to make a specific appropriation of money from the treasury" — another guardrail embedded in the state constitution — so any new revenue harvested by a millionaires tax would go to the state's general fund, to be appropriated by the Legislature on anything it fancies. 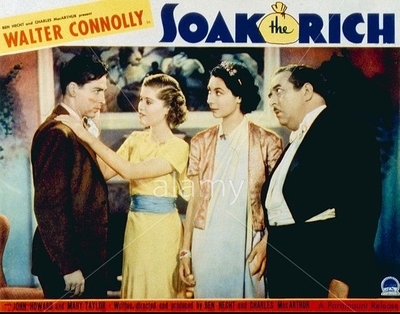 As a Hollywood flick, "Soak the Rich" is pretty funny. As tax policy, it's anything but. But the class warriors are OK with that. Their overriding priority is to breach the Article 44 barricade by any means necessary. A little bait-and-switch to con voters into jettisoning the flat tax rule? Hey, c'est la guerre. Raise Up Massachusetts and its confederates — who include 134 of the Legislature's 158 Democrats — know that "fairness" only starts with a surcharge on those earning $1 million. Once the principle is established, they can always come back for more. There's always another target that can be accused of not paying its "fair share." Always more "unmet needs" that demand more revenue. Always more gnawing inequality to be soothed with new taxes. Graduated tax rates are a hustle, one Massachusetts voters have five times been too smart to fall for. The class warriors are betting that the sixth time's the charm. I'm betting the voters are still pretty smart.